E-Data Now Inspection Software is designed for executing inspections and resolving issues from the manufacturing floor and field environment. Mobile tools help integrate people and technology to track, monitor and communicate data and activities in real time from the shop floor to the front office. The flexible and scalable E-Data Now platform is built to handle various types of inspections including inline, offline, last off, first off, GP 12, yard purges, incoming inspections, dock inspections, barcode error proofing, and many more. Most inspections are based on a value-based pass-fail questionnaire, images captured through camera, a control chart, value in open text or numeric, tolerance ratio, severity, value comparison and verification of parts through reference images. Users can customize the interface and easily send reports to a specified person or team. The staff is notified about the inspection in progress through notifications via their user profile. The application tracks the CAPA response directly from the floor and helps create concentration maps for root cause analysis. E-Data Now gives instant access to quality inspection and manufacturing reports, and creates I-charts, R-charts and X-charts and SPC control charts with the option of CSV export. It really is uncomparable to other products for quality inspection. Heat maps, SPC, Sign-in/out, Sign-offs, training documents, video capture, the list goes on. We have more transperency in the parts our team inspects than ever before.We record the data from every piece that we inspect. The E-Data System prompts you through everything from training records to know how to inspect the parts and what we need to look for, through to the corrective processes we take with parts of issues arise as well as having signoffs of inspection and real-time reporting so that managers know when something starts repeatedly happening that more action needs to be taken. We can mitigate risk by identifying problem parts on the line as they happen. We record the data from every piece that we inspect. The E-Data System prompts you through everything from training records to know how to inspect the parts and what we need to look for, through to the corrective processes we take with parts of issues arise as well as having signoffs of inspection and real-time reporting so that managers know when something starts repeatedly happening that more action needs to be taken. We can mitigate risk by identifying problem parts on the line as they happen. No Cons. We used to use paper to record the daily inspections and then enter the results into the system so we wouldn't know how many parts were wasted or downtime was lost until the next day. We can alert our clients to address defects early with this system which saves us a headache and time and money. Easy to configure. We have been using E-Data now for many years and I have found it easy to train new lead auditors in the configuration process. Statistical views, ways to output data could be improved. Thanks for the kind words David. We really appreciate it and we're happy that the product is easy for you to get new users running. Our Dev team are working on visually cleaner reports and stats so hopefully that will roll out in the not too distant future. Have a wonderful day. 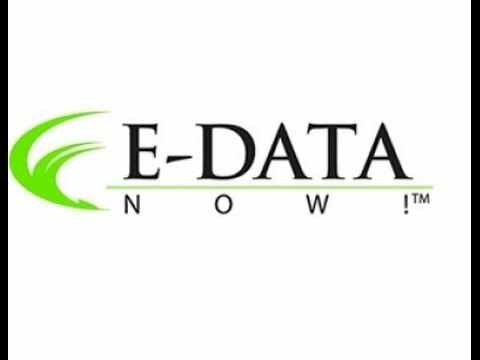 • E-Data Now was born and tested on the shop floor, offering turnkey mobile tools to integrate people and technology to track, monitor and communicate data and activities in real time from the shop floor to the front office. • E-Data Now allows tracing of data through reason, part, time, clean, clean point and other reports like corrective action statistics, LPA summaries, reject summaries, training logs, EHS reports, and more. Below are some frequently asked questions for E-Data Now Inspection Software. Q. What type of pricing plans does E-Data Now Inspection Software offer? Q. Who are the typical users of E-Data Now Inspection Software? Q. What languages does E-Data Now Inspection Software support? Q. Does E-Data Now Inspection Software support mobile devices? Q. Does E-Data Now Inspection Software offer an API? No, E-Data Now Inspection Software does not have an API available. Q. What other apps does E-Data Now Inspection Software integrate with? Q. What level of support does E-Data Now Inspection Software offer?